After treating the audience with 2017’s sleeper hit ‘Bareilly Ki Barfi’, has given yet another hit Raazi in the first half of the year. With every film, Junglee Pictures has ensured to deliver fresh and untapped subjects Raazi being the lastest to their list. Apart from scripts that promise good content, they also bring together an interesting bouquet of talent, which can be seen in their past releases as well as the future ones. Directed by Meghna Gulzar Raazi is garnering positive reviews from all the sectors, be it the audience or the trade analyst featuring Alia Bhatt and Vicky Kaushal, which opened last Friday in the theatres, made an impression on the first day, collecting Rs 7.53 crore at the domestic box-office despite it being a working day. Following this, thanks to strong word-of-mouth, the five-day collections (Friday to Tuesday) stand at Rs 45.34 crore. The weekend growth has been phenomenal and the hold during the weekdays seems to be rock-steady. It’s an enviable run at the box-office earning it the much-coveted ‘superhit’ tag. And for Junglee Pictures, it’s a jubilant hat-trick after Talvar and Bareilly Ki Barfi. 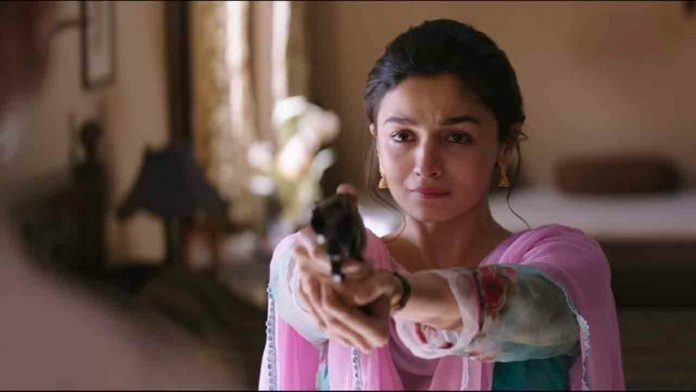 When most films meet their decline in the collection on a Monday, Raazi just saw a 16% decline from the first day. Devang Sampat, the India Director (strategic Initiative) for Cinepolis, asserts that strong word-of mouth played an important role in the film’s success rather than in-your-face promotion. Trade analyst Komal Nahta points out that for a woman-centric film which was not a part of a series to open at Rs 7 crore-plus is almost historic. “And after a great opening, it took a 50 per cent jump on Saturday and a 25 per cent escalation on Sunday which is phenomenal. These numbers show that the audience has accepted the film and Alia in a big way. After seeing the trailer, I had predicted that it will do a business of around Rs 70-75 crore, but now I think it’s going to surpass that figure. Raazi has proved that content is king and Alia the queen,” Nahta states. The film opened well from day one in the metro cities, in nonmetro centres it grew through word-of-mouth and expects the growth in the second weekend to be at par with the first as there are no good Bollywood films coming up this Friday. Jayla is all praise for Junglee Pictures’ repertoire, pointing out that their three films experimented with various genres and were completely different from each other. “Even though being a new entrant in show business, Junglee Pictures has, from the beginning, backed content rather than proposals. It has paid off for them in a big way. They have cracked the formula. Their focus on content and conviction makes their films both commercially successful and critically acclaimed,” he states. Film exhibitor Akshaye Rathi said, “Star power can give you an initial boost but for good numbers you need content. Raazi has proved to be truly engaging and entertaining, and the film strikes a chord with the audience which is why it’s crossing borders and breaking barriers,” he signs off. Rajender Singh Jyala, Chief Programming Officer of INOX Leisure Ltd. pointing out that positive reviews after Friday’s morning shows saw the film pick up in the afternoon and the night shows were almost full. “That is why it did so well on Saturday and Sunday and my footfalls on Monday were higher than that on Friday. Raazi has the potential of netting Rs 100 crore,” he predicts. Previous articleVarun Dhawan Pools Indian Superhero Bhavesh Joshi Superhero To A Movie Premiere! Next articleJP Dutta’s Paltan Has A Memorable Release Date!